As you will probably know by now, we are in the throws of potty training with Pickle. He has taken to it really well this time after a couple of disastrous attempts before. I think that a couple of things have really made the difference this time around and helped us to crack it. Firstly, pickle was ready. He actually asked to wear pants and said he didn't want to wear nappies anymore. Previously we have always told him that we were going to try but this time we let him set the pace. Secondly, we were prepared. We had everything ready and it wasn't a mad rush to get pants and a potty and all the other things we needed. Hubby and I were prepared and I think this helped keep us calm and chilled when it started. Finally, I think that having a support pack really helped us and helped pickle understand exactly what was going on. Enter the amazing 'Potty Training Academy' from Cheeky Rascals. This pack comes with everything you will ever need to tackle potty training in one box. When I first received the box I was a bit sceptical as I wasn't sure how much it was actually going to help but it is honestly amazing! 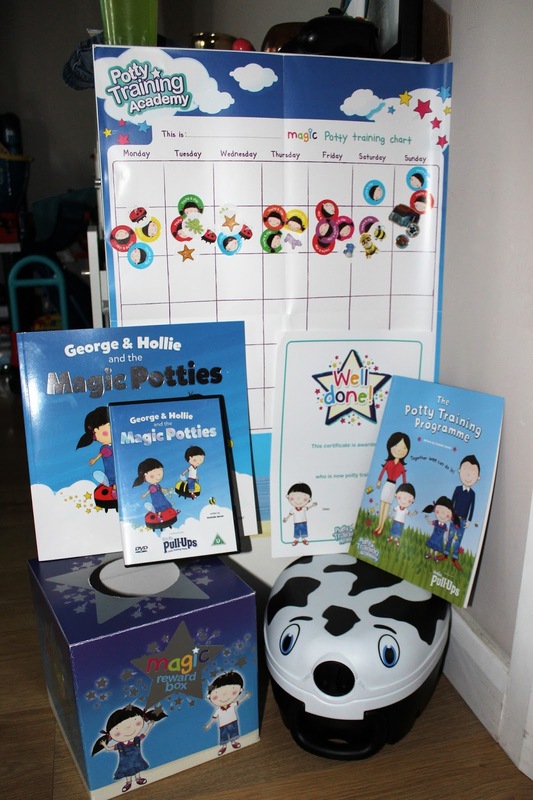 The lovely people at Cheeky Rascals also sent us a My Carry Potty which is the same potty that is used in the DVD. Everything in the box (apart from the badge and certificate) we have used. The sticker chart went straight up as soon as pickle declared that he wanted to wear pants and the stickers were in the draw ready and waiting for that first wee on the potty. The stickers in the box actually are characters from the DVD and story which is great as pickle recognised them straight away. The sticker chart is huge and has 6 weeks worth of space on it to make sure that potty training has really been embedded. The DVD and book is such a good idea. We must have watched the DVD at least 20 times during the first week of our potty training journey. As much as it was doing my brain in a little by the end of the week I didn't want to say no to putting it on as it really helped him with understanding what the potty was and how he needed to use it. He also loved seeing his potty on the TV and pointing out all of the different stickers he had got. The adult programme booklet is also brilliant. 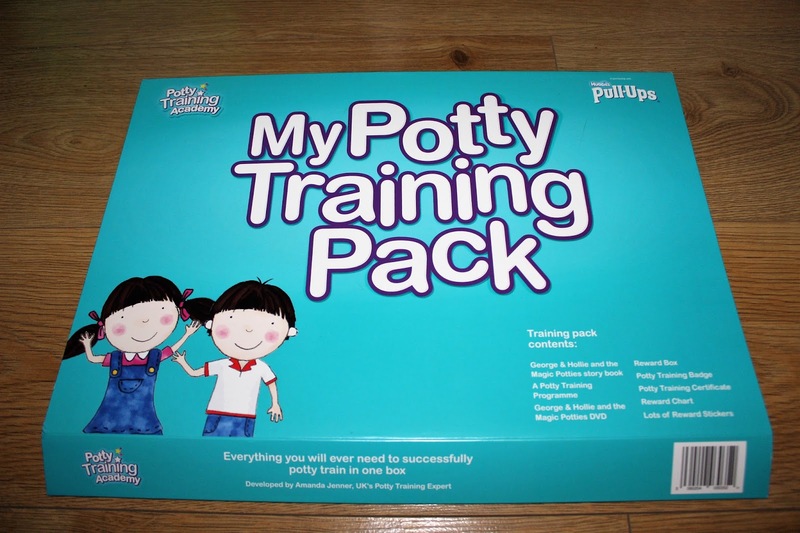 It is full of tips and helpful information about how to potty train and is a great aid if your not sure if what your doing is working. 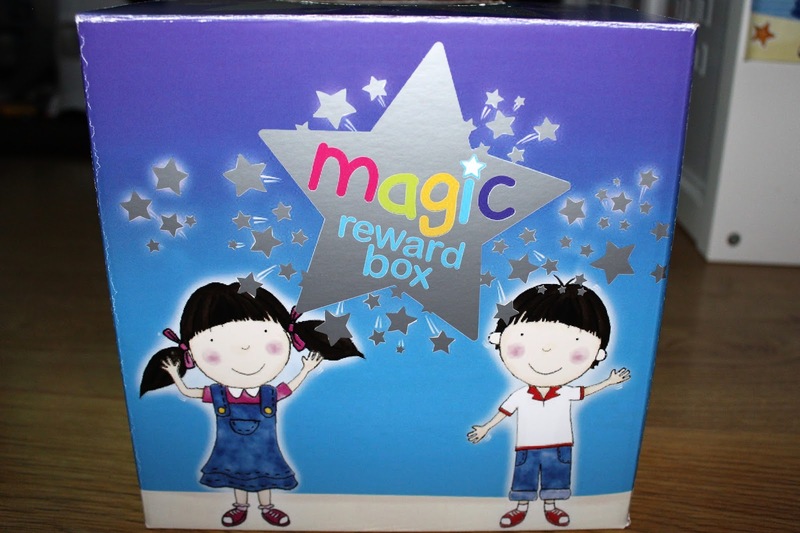 The magic reward box is pickles favourite part of the pack and I am not sure if we are using it in the way it was intended but it is working for us. 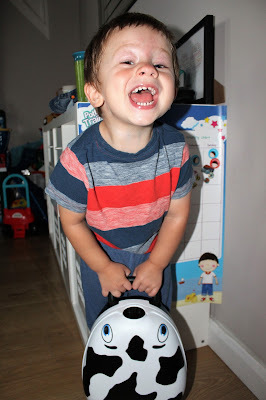 We put lollies, mini bags of sweets, mashems and a few blind bags in the box and then when he used the potty and actually did something on it he was allowed his sticker and something from the box. If he does a poo on the potty he gets 2 things and he has reacted really well to it. He knows the routine now and gets so excited when he gets to pick something out of the box. In time we will reduce the box to poos only but seeing as it is still such early days we are going to continue to really make sure he has the idea of the potty embedded. The last thing I need to talk about is the 'My Carry Potty' that we were sent. We actually call this pickles magic potty as in the DVD they say it and pickle loves it. The best thing about this potty is that is seals up completely so it means we can take it out with us and if pickle has a wee we don't have to worry if there is no where to put it as we close it and it all stays in. The fact that it can go anywhere with us helps pickle as he knows that it is a safe potty that is his and it's just like at home. This potty training pack and the carry potty has been amazing and I believe it is why pickle has been training for just 1 week and is doing so well. We are at the point now where he is going the day without an accident and then even on the bad days he is only have 1 little accident. 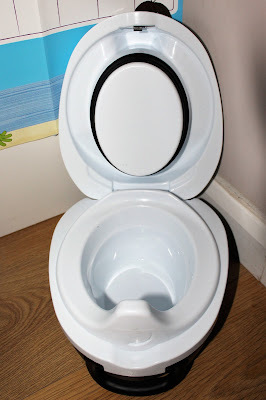 I would really recommend grabbing yourselves one of these if your thinking of tackling potty training as it has really helped us! You can grab your very own Potty Training Academy pack and Carry Potty from the Cheeky Rascals website here.